For 1,25 Hours you can buy a packet of vegetables at the weekly Lekkernassûh market in The Hague. 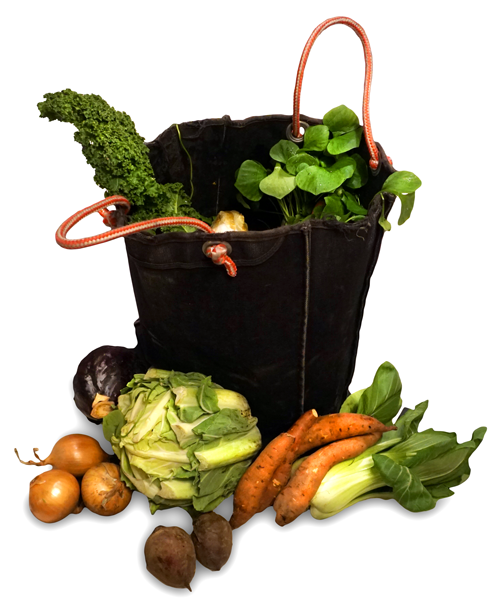 Check out all the delicious, seasonal veg on the Lekkernassûh website. Don’t forget to register while you’re there. Once you’ve done this, you can simply switch your status to ACTIVE or PAUSE depending on whether you plan to pick up veggies. Update your status before Sunday 20:00 for the market on the coming Wednesday. This is convenient for you and saves food wastage! Lekkernassûh organizes a weekly non-profit market offering fruit and vegetables, run collectively by people in the neighborhood. All their produce is organic, and from local farms (mostly the province of Zuid-Holland). It is a sustainability initiative with the goal of having accessible healthy, honest and delicious food to everyone in The Hague. Food is a social binder, and houses universal values which are repeated in almost every culture. It is run by the foundation Lokaal Voedsel Den Haag that facilitates the work of Lekkernassûh as an independent organization. Witte de Withstraat 127: Wednesday 16:00-19:00 h.
Mozartlaan 189: Wednesday 12:00-14:00 h.
Rivierenbuurt – O3, Zaanstraat 25: Wednesday 12:15-13:30 h.
Voorthuizenstraat 245: Friday 14:45 – 16:00 h.
Lekkernassûh & Timebank.cc have a shared philosophy. A community currency for a community market – Timebank and Lekkernassûh come together to further their vision of a more transparent, sustainable society. The union of these two organisations is underpinned by a shared belief in the central place of community, transparency and sustainability in our society. You can earn time working for Lekkernassûh in a number of roles including assisting at the market or working behind the scenes in communication, transportation etc. Check out their website for details. In this early phase of the partnership with Timebank you will earn 0,65 Hours for each hour you work. But with time this will increase to the normal 1,00 H per worked hours as more Timebankers buy delicious veggie packets. Make sure your Lekkernassuh subscription is switched to ACTIVE, before Sunday 20:00 h for the coming week! You have to be able to show the receipt of this payment to the cashier during pick up at the market. This can be on your mobile phone or on print. You can also donate time to the Lekkernassûh market. Donations will be used to hire more Timebankers to further develop and promote Lekkernassûh in The Hague.